Voters in District 7, including Bucksport and Conway areas, will choose the Democratic nominee for the special election on Tuesday, July 5. 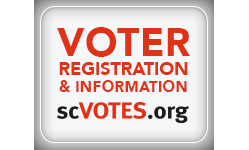 Check your voter registration online at scvotes.org or call Horry Co. Voters Registration at 843-915-5440.